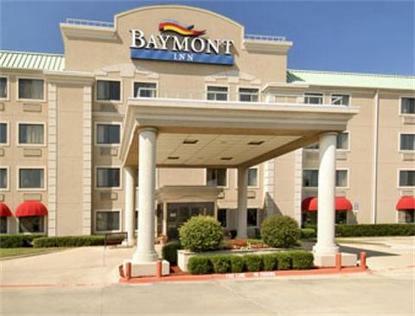 The Baymont Inn & Suites-DFW Airport North is located at the Gateway to Historic Downtown Grapevine, just North of DFW Airport providing Free Airport Shuttle Service. At the Baymont Inn & Suites start every day with a Free USA Today Newspaper and enjoy our Complimentary Baymont Breakfast Corner with Hot Items. In your room, work on your spacious desk with Wired and Wireless Free High Speed Internet Access. For your enjoyment a sparkling Outdoor Pool is provided, plus access to a nearby Full-Service Health Club. The beautifully appointed Meeting Facility is perfect for all types of functions, accommodating up to 56 people. Everything that is Dallas, Fort Worth and more is easily accessible from the Baymont Inn & Suites, Your Home Away from Home.